damn! I havent post anything in like 8 months or so, anyway I was very Busy, I got married to my wonderful wife Laura and I also moved to a new place. 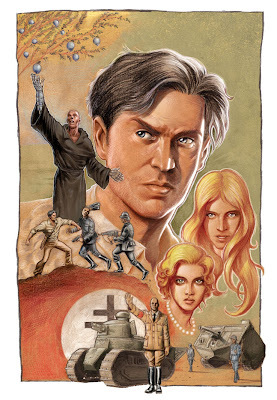 here is a cover based on Indiana Jones and the temple of doom. Disculpame la ignorancia, pero recien conozco tus trabajos a traves del blog del amigo Frusin.